FCAN Foundation does research and public education on consumer issues as well as civic engagement work such as voter registration support and Get Out The Vote campaigns. 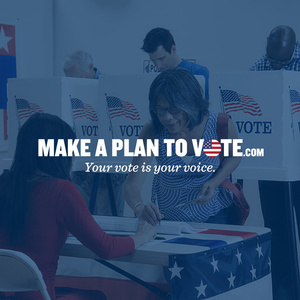 We believe encouraging greater voter participation makes our democracy better for everyone. We believe consumers should be educated not only on issues but on the processes in government at all levels that affect issues. It is important that consumers know who the decision makers in their community are and how they are influenced. How Do We Encourage Civic Engagement? FCAN Foundation raises funds and sponsors research on issues including transportation, insurance and more. Recent studies issued include “Complete Streets for St. Pete — Building a Healthier, Safer City Through Better Street Design” and “Trouble in Toyland — 32nd Annual Survey of Toy Safety.” Both reports got major press coverage and helped community members and decision makers work together for a better state for everyone. These successes made a difference; FCAN Foundation made a difference. FCAN Foundation helped register 87,000 new voters in the 2004 election cycle and FCAN helped register 18,000 in 2010. We plan to help register 40,000 or more in 2018. Once the new voters are on the rolls, the next phase begins -- making sure they vote. We work hard to educate voters on the issues that may be important for their community. It is essential to help voters understand how their vote can create change — the power of their vote. This also motivates voters to follow through with their vote. In days past, voting meant Election Day. Now, we have early voting and vote by mail, along with traditional Election Day voting. At FCAN Foundation, that means we need to educate our newly registered voters on the options and how to use them. Then, we track the voters we’ve helped register to see if they’ve voted. We remind them by mail and by phone and offer to drive them to the polls or help with early voting. We do whatever it takes to get those votes out. Sometimes, elections really do come down to one vote, and Florida seems to have more than its share of close elections. Complete Streets are safe for people of all ages and abilities and serve people traveling in all different ways: walking, biking, taking transit, or just enjoying the street as a public space. We believe consumers should be educated not only on issues but on the processes in government at all levels that affect issues. It is important that consumers know who the decision makers in their community are and how they are influenced. In the wake of the tragedy in Flint, Michigan, we now know the toxic threat of lead in drinking water extends to thousands of communities across the country. The Pill Mills are gone. Pills are still out there, kids still get them, but it is being controlled and the problem has moved to the streets and to overdose deaths. Look at the chart. It’s out of control. 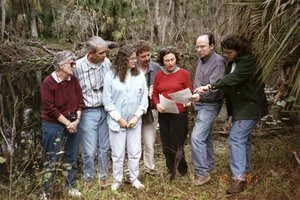 Florida Consumer Action Network Foundation, Inc. is a nonprofit, nonpartisan organization exempt from taxation under section 501(c)(3) of the Internal Revenue Code. Charitable deductions are allowed to the extent provided by law. A COPY OF THE OFFICIAL REGISTRATION AND FINANCIAL INFORMATION MAY BE OBTAINED FROM THE DIVISION OF CONSUMER SERVICES AND BY CALLING TOLL-FREE 1-800-HELP-FLA WITHIN THE STATE. REGISTRATION DOES NOT IMPLY ENDORSEMENT, APPROVAL, OR RECOMMENDATION BY THE STATE. Florida registration CH 16948. © Copyright 2019 Florida Consumer Action Network Foundation, Inc. All rights reserved. Made by MityMo.